H-Tek Auto Care services Infiniti clients in Johnson City and Gray and recognizes that your Infiniti is a statement of luxury and dependability. Specializing in Asian vehicles, Eric Henley and his team of ASE-Certified auto mechanics will work with you to keep your Infiniti operating at peak performance with a highly detailed multi-point visual inspection to determine if auto repair is necessary or if preventative maintenance is the right call. Created by Nissan Motor Company in 1990, and defined for its innovative technology, cutting-edge design, coupled with dependability, the auto mechanics at H-Tek Auto Care mirror that spirit and strive to meet or exceed your expectations when it comes time for auto repair. They will also work with you to develop a maintenance schedule so you can plan for service on your calendar and in your pocketbook. 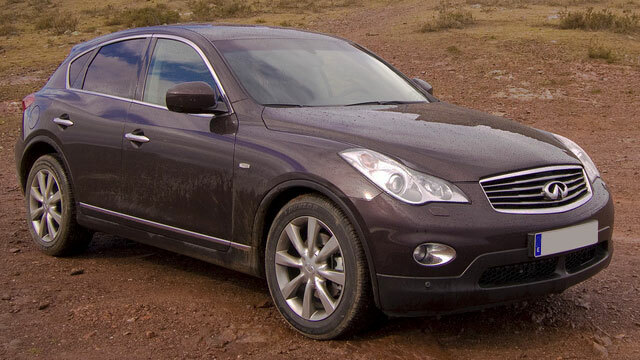 You Infiniti will be in the hands of the leaders in the industry. Our Master Tech’s and ASE Certified auto mechanics attend a minimum of 30 hours of continuing education every year in order to be educated on the latest developments in automobile repairs. Eric and his team will work diligently and efficiently to get you and your Infiniti back on the road in a timely manner. Known as the specialists for Asian automobiles in the Johnson City and Gray area, you can rely on the team at H-Tek to determine the issues and get them repaired quickly and affordably. We back all of our repairs with a nationwide 3-year, 36,000mile warranty because we want you to drive away feeling confident in the handling of your Infiniti and we want to make you a part of the H-Tek Auto Care family. Servicing clients in Johnson City and Gray, we are proud of our five generation, auto mechanic lineage and when you utilize our shuttle service, chances are Don, Eric’s father, will be your driver. So, when your Infiniti needs servicing or auto repair, come visit us at 5882 Bobby Hicks Hwy., Gray, TN 37615 or schedule an appointment online.